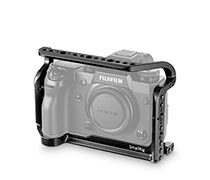 SmallRig Fujifilm X-H1 Camera Cage 2123 is specially designed for Fujifilm X-H1 camera. It features an all-round protection for the camera. 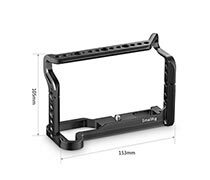 The cage is designed to attach the accessories quickly. 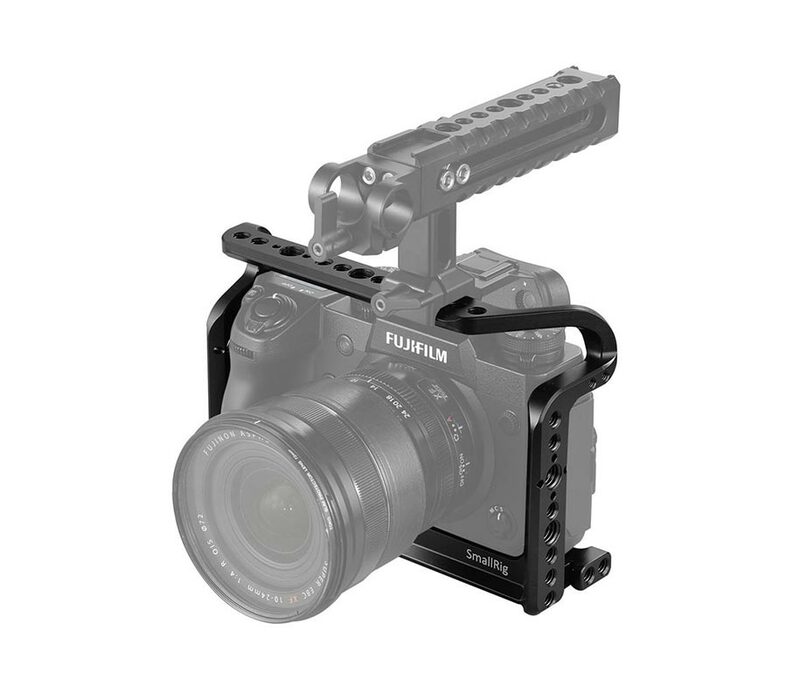 It comes with 3 NATO rails on the top and at the side, whereby NATO Handle 1688 could be mounted for handheld shooting. Wooden Handle 2118/2117 could be mounted on the side for better handheld experience. Arri 3/8� points on the top and side could be mounted with Magic Arm with Arri Locating Pins 2115 for stability and anti-twist purpose for monitor. 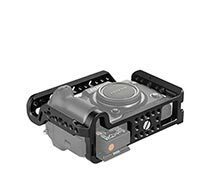 At the bottom is a built-in Arca Swiss plate, and when combining with Rail Support System Baseplate 2092, it enables 15mm rail support for matte box and follow focus operation and quick switch between different shooting modes.